Eugene was first elected in 2004 and is a farmer by profession. Eugene is a member of Nobber GAA club. 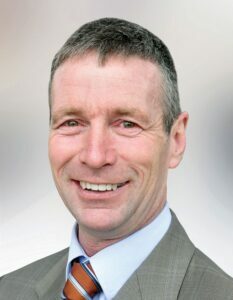 An experienced, hardworking and capable elected member his main priorities for his area include continuing to work to bring to fruition the ongoing proposed cycling and walking way from Navan to Kingsford, from the Boyne Valley to the Lakelands County Greenway. This major project is currently at the feasibility study and detailed design stage. He is chairman of the committee responsible for this project. As well as this he will work to ensure his local electoral area receives funding toward improved infrastructure and is looking forward to assisting all people within his local electoral area to the best of his ability.